Fuel prices have been hiked across metro cities to reach an all-time high - again. A litre of petrol in Delhi will cost a consumer Rs 81.28 per litre after a hike of 28 paise from yesterday. Diesel, too, was not far behind with an increase of 22 paise. A litre of diesel in Delhi now costs Rs 73.30. Mumbai, where the prices are sky-high too saw an increase of 28 paise in petrol and 24 paise in diesel. Mumbaikars will have to shell out Rs 88.67 per litre of petrol and Rs 77.82 for diesel. Fuel prices have been on a steady but sharp rise since mid-August. Opposition even called for a nation-wide Bharat Bandh to oppose the rising fuel prices. The Opposition has been demanding an excise cut to cushion the rise in fuel prices. Moreover, a drop in the value of the rupee against the US dollar is not helping matters. The government, on the other hand, remains non-committal when it comes to slashing excise. However, states like Andhra Pradesh , West Bengal and Rajasthan have cut up to Rs 2 to pass on some relief to the customers. The Centre currently levies a total excise duty of Rs 19.48 per litre on petrol and Rs 15.33 per litre on diesel. VAT varies amongst states. 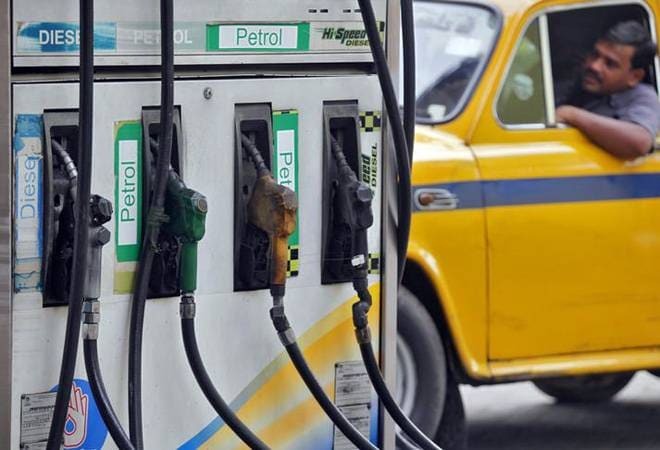 The Central government had raised excise duty on petrol by Rs 11.77 a litre and that on diesel by Rs 13.47 a litre in nine instalments between November 2014 and January 2016 to shore up finances as global oil prices fell. However, according to a report in Reuters, global oil prices fell on Thursday, reversing some of the strong gains from the previous session. US West Texas Intermediate (WTI) crude futures were at $69.99 per barrel at 0140 GMT, down 38 cents, or 0.5 per cent, from their last settlement. Brent crude futures slipped 45 cents, or 0.6 percent, to $79.29 a barrel. The fall raises some economic concerns about the ongoing fuel demand growth. Traders said the falls came on the back of a potential slowdown in fuel demand growth because of trade disputes between the United States and China as well as emerging market turmoil. The Organization of the Petroleum Exporting Countries (OPEC) on Wednesday reduced its forecast for 2019 global oil demand growth, pointing to economic risks. In its monthly report, OPEC said world oil demand next year would rise by 1.41 million barrels per day (bpd), 20,000 bpd less than last month and the second consecutive reduction in the forecast. The OPEC and allies had agreed to boost production at their last meeting in June and will now meet in Algiers later this month to assess world markets.